Once there was a loose affiliation of DJs and musicians referred to as the Remix Artist Collective, RAC. These days that name refers solely to the work of one man, André Anjos. RAC has since become one of the industry's pre-eminent remix artists, transforming over two hundred songs that vary from chart topping hits to more obscure singles into a final product that's almost always an improvement on the original, often in ways that surprise and delight. Such is RAC's prolificacy that the chances are you've heard some of their work, whether or not you realised. One of our top previews in the 2014 Hot List, Strangers marks the debut LP in RAC's new foray into original music composition. It has been initially rolled out as two separate volumes, but the complete album can now be purchased as a single LP. So what can one expect from a remix artist's original content? One might have expected something a bit clubby or heavily electronic that belies Anjos's DJ roots. It's a surprise then that Strangers strikes such a laid back tone, and in a variety of different styles. But while RAC displays an impressive musical range, from sparkling electropop to mellow indie rock and sun-tinged funk, there are common elements that run throughout. Most tracks are infectiously danceable regardless of genre, and the production quality is smooth as silk. Each track flows effortlessly and strikes an expert balance of being in equal parts playful and soothing. Strangers is additionally boosted by contributions from a diverse array of A-list musical talent which includes Kele Okereke of Bloc Party, Tokyo Police Club, and Tegan and Sara among others. It's another recurring element through the album to contrast music and lyrics. For example incredibly catchy lead single Let Go, featuring vocals from Kele and MNDR, is one of the album's clear standout tracks. The song's bouncy and carefree melody hooks into its listener fast, but belies at its heart a cautionary romantic tale. Tegan and Sara's contribution follows a similar style as another example of catchy, and playful pop, resulting in another of the album's highlights with Hard to Hold. Sweet and sugar-toned, the track pulses with frustration beneath, also exhibiting some of RAC's instrumental range with punchy string and piano motifs. Meanwhile Tourist, featuring the vocals of Tokyo Police Club, takes a completely different direction into somewhat more mellow sounding college rock. A much steadier and grounded melody differs starkly with some of the bubbly pop seen elsewhere, its silky vocals nevertheless provide a comforting contrast through the track's tale of relationship ennui. An extremely smooth and laid back track that crescendos slowly, it works extremely well. Further good examples of the diversity on offer with this album come from the refreshingly funky Tear You Down featuring Alex Ebert, a track that combines an almost Bob Dylan folk style with RAC's smooth dance beat, while the sun-streaked All I Got, featuring Peter Moren, is another strong addition. Contrast these songs with the two-track combo that opens the second half of Strangers; the acoustic lull of Sixteen that leads into an almost Disney musical style of pop ballad with Seventeen, and it's clear that Anjos is growing into a songwriter of some depth and variety. Meanwhile it's one of the album's most disparate points, 405 that stands out in particular as a highlight. Guest vocalist YACHT describes the track as an ode to driving along the west coast with its lush 80s tint and twilit melody. Through it all a consistency in quality really stands out. The album is full of really lovely songs that are a joy to listen to, while there are very few sour notes, the album's second track Ello Ello being the most obvious culprit. 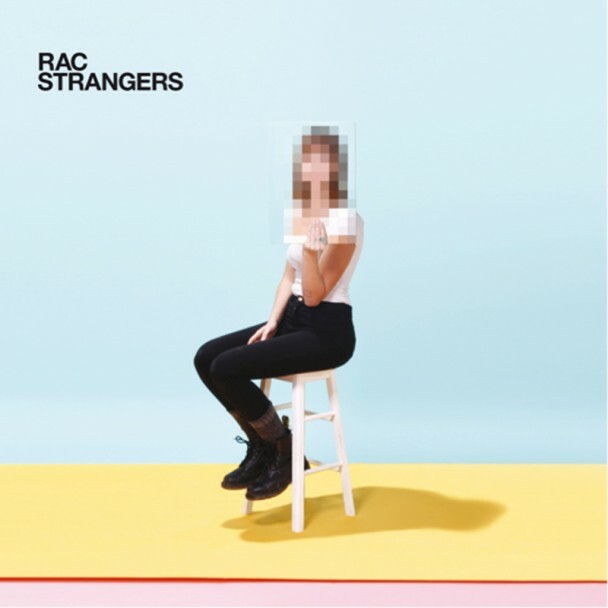 Strangers is a very strong debut album from RAC, and should form an essential part of your summer soundtrack this year.